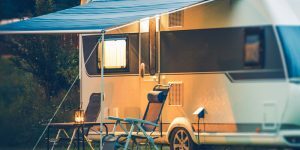 Many people, usually those that are enjoying their retirements own a mobile caravan and thoroughly enjoy searching for new, beautiful caravan parks to relax on. However, there will inevitably be a time when you will need to reverse a caravan yourself and if it’s not something you’re particularly familiar with, it can be a trick affair. If you have never reversed a caravan before then you’re going to discover a few things that might just startle you, but don’t be afraid. Everything we cover here is perfectly normal and happens in 99.99% of caravan reversing manoeuvres. 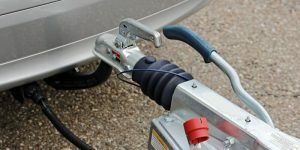 When you initially place the caravan or trailer into a reverse gear, you will notice that the caravan itself will resist a little and it might even give off a loud bump. Don’t worry – this is normal. When the caravan is placed into reverse gear and starts to move backwards, the loud bump indicates that the caravan is figuring out whether it should be rolling, in reverse gear or needs to apply the brakes. So just a quick recap for reversing in general conditions; the caravan will refrain from moving and might make a loud bump. But this is normal and you should be looking underneath to see what’s broken! If you’re into your British holidays and enjoy caravanning, then you’ll know that they come in all shapes and sizes. 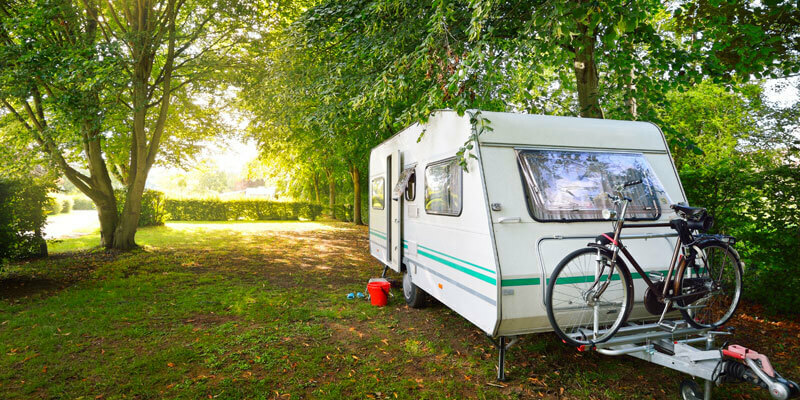 However, when you reverse a large or small caravan, the steps involved are predominantly the same but they can react differently in different situations. There are mainly two types of caravans and trailers out there. These are twin axle and single axle caravans. The twin axle caravans are a lot easier to operate but require more effort from a steering perspective. The additional sets of tyres on the twin axle vehicles “scrub” which does actually cause the caravan to move slower, making it considerably easier to correct if you make a mistake when moving. However, single axle vehicles are able to pivot on their wheels and make tighter turns, although they do require greater effort from a steering perspective should you make a mistake. Traditionally, the shorter the distance between the tow ball and axle, the quicker the vehicle responds to steering making it easier to manoeuvre. Reversing around a corner in most vehicles is a tricky manoeuvre if you’ve never done it before. However, if you get yourself into the best position beforehand, you’re going to make it considerably easier. The best thing to do in this situation is to drive past the pitch until the wheels of the caravan are perpendicular to the edge of the pitch. At this point you will want to look over your shoulder in the direction of the pitch and your final position. Make sure that you turn the wheel in the opposite direction, as it will cause the caravan to position correctly. When you’re happy, you can start to move the caravan back slowly by selecting the reverse gear. Remember to be extremely cautious because when the trailer or caravan start to move, it will pick up pace quickly. You cannot allow the towing vehicle to move further than the caravan as this may cause it to jackknife and cause a whole host of issues. If you’re not comfortable with this, you may need to complete an additional trailer training course to refresh your ability. As the caravan starts to get into a more familiar position you can start to straighten your steering wheel. As you come to an end, the wheels on the towing vehicle and the caravan should look something similar like they would if you were reversing in a straight line. If you’re not happy with the final position of the caravan when you have parked it in the pitch, you’re welcome to move forward slowly and reposition the caravan in a straight line. Try not to turn too much as trailers only need a small amount of steering to move correctly. Usually a quarter of a turn is enough. If you’re trying to rescue a bad manoeuvre its going to be easier for you to stop, pull forward and start from the beginning. Never let the towing vehicle too close to the caravan or trailer as it could jackknife and cause damages. Always manoeuvre with slow movements, as it will give you better control.